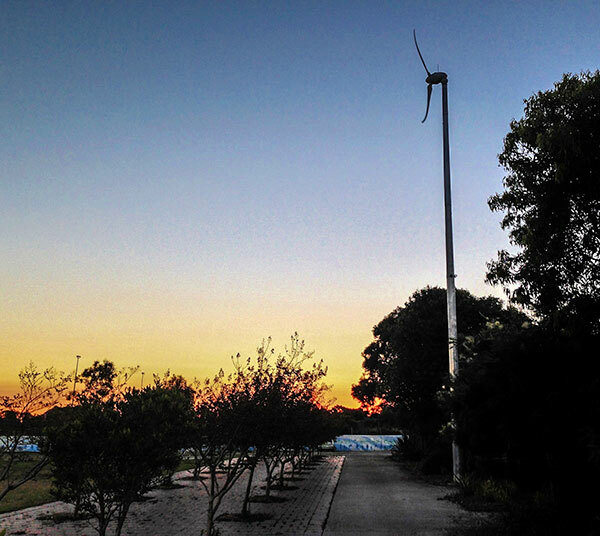 We've retrofitted the Randwick Community Centre for energy and water efficiency. 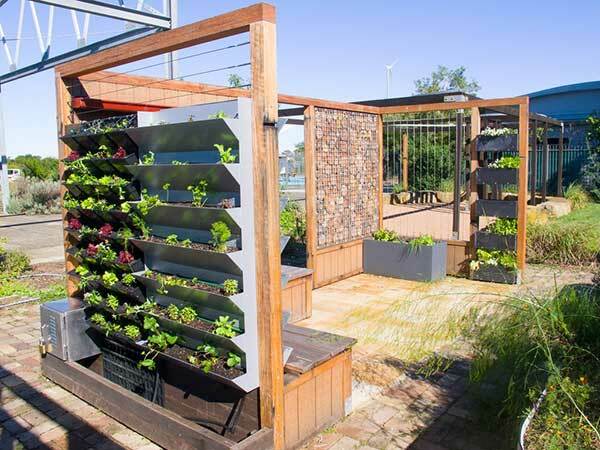 A photovoltaic panel array, wind turbine, interior improvements to energy and water use, a range of rainwater tanks and our PIG (Permaculture Interpretive Garden) offer plenty of take-home ideas that you can adapt to your own house and garden. Recently, we installed a new reedbed toilet and filtered drinking water bubbler. Now you can refill your water bottle with clean, filtered water instead of throwing it away empty. There's even a drinking station for your thirsty dog. We have now opened The Classroom, made from recycled materials and our Balcony Garden Display area during International Permaculture Day on Sunday 3 May 2015. 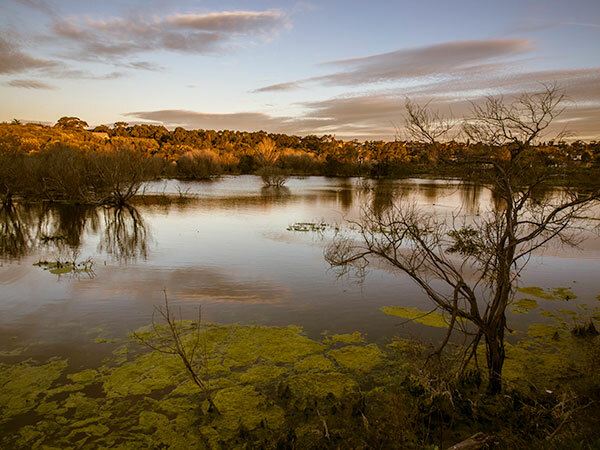 Adjacent to the Randwick Community Centre you will find the Randwick Environment Park with its 13 hectares of parkland, bushland and wetland. There are 92 species of indigenous plants that have been identified to date. The building has been constructed entirely from repurposed and recycled materials. The external cladding of the building is recycled hardwood floorboards from an old warehouse and the structural beams and columns are recycled telegraph poles. 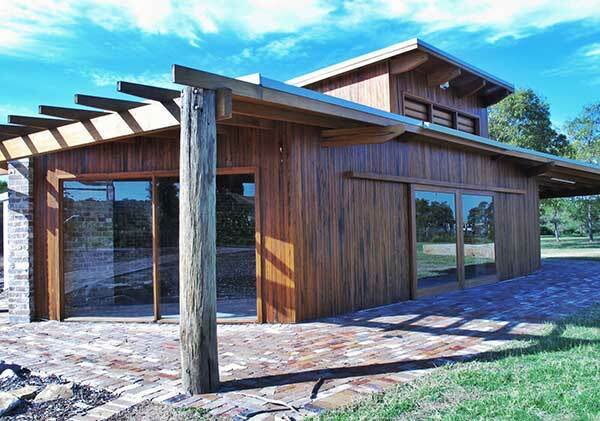 Recycled timber and bricks have also been used extensively through the works. The building has also been design to incorporate the open louvers which allow the cool north-east breezes to flow through in summer. 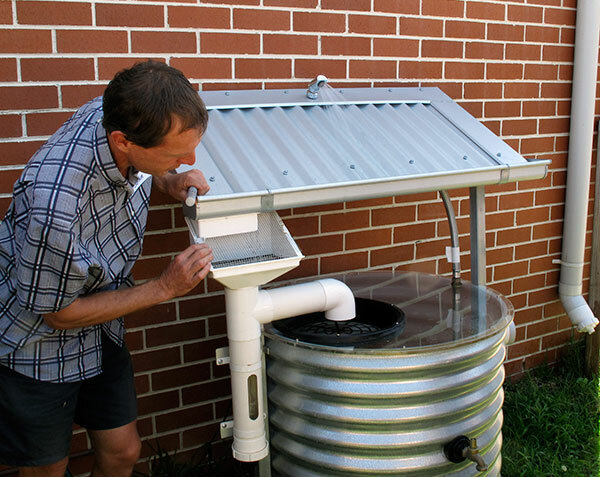 Rainwater is also harvested from the roof and pumped up to the reed-bed toilets. The building has been designed to keep cool in the summer and warm in the winter. The pergola on the northern side of the building uses passive solar design to control the interior temperature. In the winter the concrete floor warms up during the day to keep the inside temperature warm. A reed-bed toilet system has been installed for public use. The toilet has a 'Rootzone model reed-bed filter system' to break down the material and filter the wastewater so it can be used for irrigation around the Community Centre. This system is a living, self-cleaning biological filter that removes disease organisms, nutrients, organic materials, petroleum-related chemicals and other polluting compounds for the wastewater. irrigation pump — this takes the final water to the garden irrigation system after disinfection. The breakdown of contaminants and the treatment of the wastewater is achieved by the controlled seepage of the waterborne pollutants through the root zone of plants (garden bed located adjacent to the toilet facility). Organic pollutants are broken down to become a food source for the extraordinary variety of micro-organisms that dwell in the soil as well as for plants. Educational signage has been developed and installed around the Randwick Community Centre so that visitors can learn about the energy efficient technologies featured on site. Active energy efficiency building design enhancements — fans for heating and cooling, gas heating, energy efficient appliances. 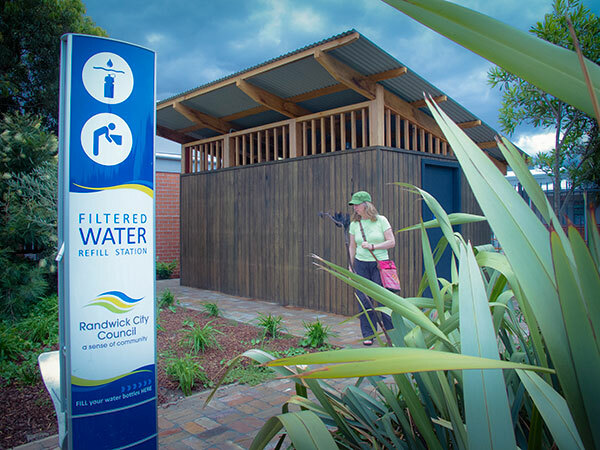 Using educational signage and interactive displays, the Water Wise Trail demonstrates smart water efficiency features at the Randwick Community Centre and in the Permaculture Interpretive Garden. A filtered water drinking station where you can refill your water bottle with clean, filtered water instead of throwing it away empty. 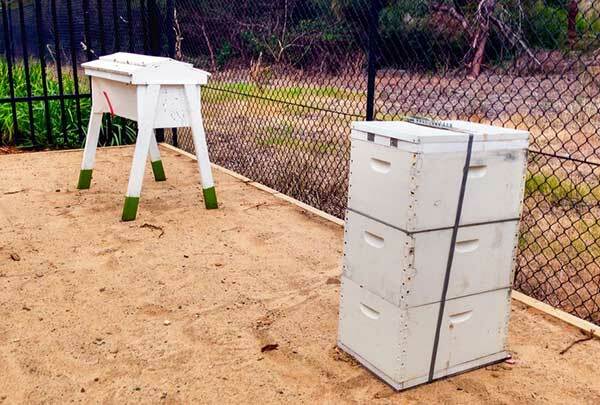 By applying design principled from the permaculture design system, an Australian invention, we have built a garden that is an integrated public park and education facility demonstrating a range of materials, plant types and design ideas that can be copied in your home or community garden. The colour of the flowers and different plants changes with the season, attracting people to the edible and other species that come and go. Educational signage and interactive displays make sense of the garden for visitors. Our new balcony garden display area including wicking bed, insect motel, vertical gardens and aquaponic system. 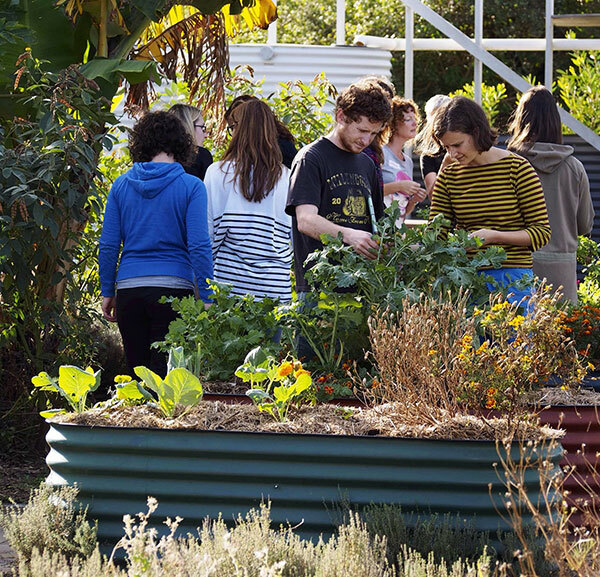 Randwick Sustainability Hub is fast becoming the centre for community education and special events in the Eastern Suburbs. Supplementing our special science education program for schools are a range of community education courses and events. Our courses and workshops provide education in growing your own food and native plants, resource-efficient convivial living and community leadership, and there's a special course for teachers and parents and others working at early childhood centres. We offer workshops in bike maintenance, small space and balcony gardening, decluttering your home and your life, an introduction to permaculture, pond ecology and keeping chooks in Randwick. Every month, there's the Eco Heroes Club for 5-11 year olds, which is a club for hands-on eco-activities that are fun... whether that's making a video, planting vegetables in the garden, learning about the wildlife critters we share Randwick with, learning about worms and compost or making art from recycled materials. We meet mostly on the third Saturday of the month between 2:30 and 4:00pm (excluding school holidays). Come gardening with us every Friday morning from 9:30am to 12:30pm (except when it is raining or a public holiday) for our Community Volunteer PermaBee in the Permaculture Interpretive Garden. Join permaculture landscape architect, Steve Batley, horticultural scientist, Jon Kingston and horticulturalist and landscape designer, Emma Daniell while we plant out, weed, harvest, maintain the compost and propagate — whatever needs doing on the day! Randwick Environment Park Bushcare volunteers meet from 9am-12noon on the first Wednesday and the third Satruday of each month. Find your way to the corner of Dooligah avenue and Burragulung Street, Randwick and walk diagonally across the recreation area towards the Randwick City Council Ute. 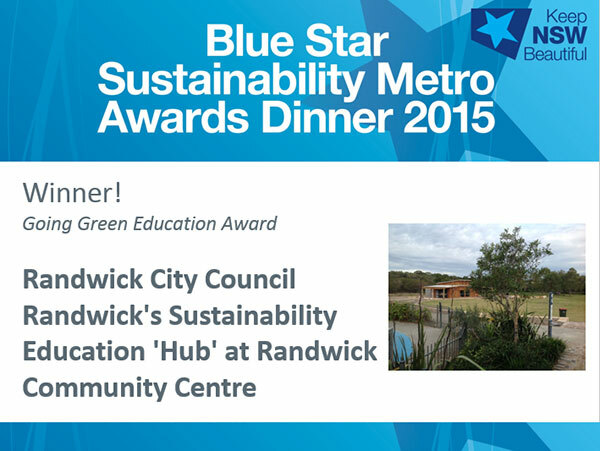 At the recent Keep Australia Beautiful Blue Star Sustainability Metro Awards Dinner 2015, Randwick City Council was the winner in the Going Green Education Award for the Randwick Sustainability Hub project. 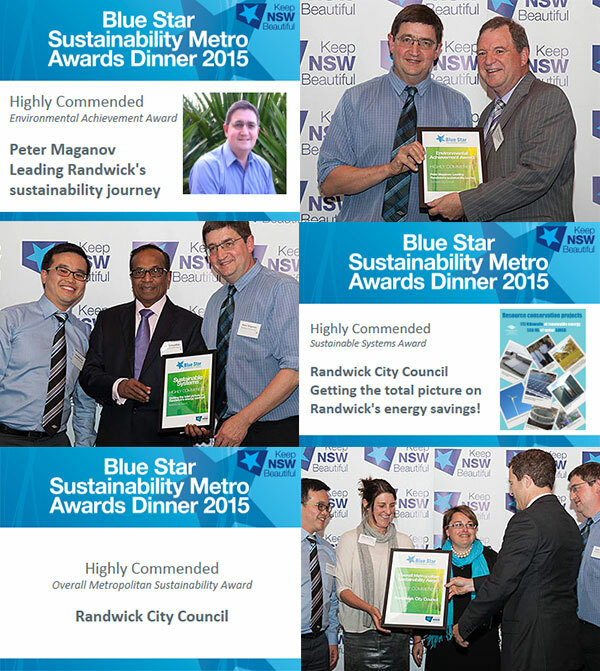 Highly Commended — Overall Metropolitan Sustainability Award. 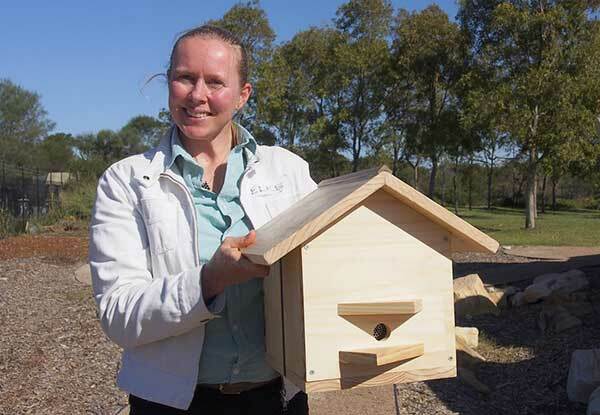 Photos: Keep NSW Beautiful's Facebook page. Read more: 3-Council Reduce Your Footprint website.